We couldn't have said it any better than power woman Marina Hoermanseder with these inspiring words! 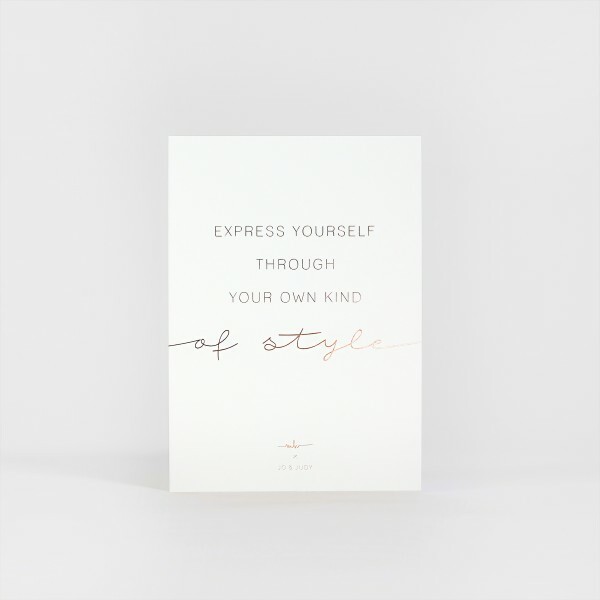 Just in time for the presentation of her new collection at Berlin Fashion Week, the unique designer collaborated with JO & JUDY to create this gorgeous A5 print with rose gold foil stamping. But be quick: This exclusive print was only produced in a very small number!